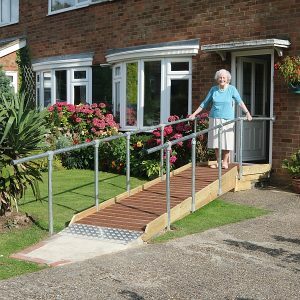 Classic Mobility works with TechMed to provide a service to clients for small adaptations, such as ramps and handrails, to make their lives easier. We received a referral to assist Audrey, a lovely lady who asked us to replace steps with a gentle ramp. Audrey can walk with assistance (e.g. handrails) but finds steps difficult. She also uses a wheelchair for longer forays with friends and family, therefore the steps from the front door were a hindrance. Audrey wanted to be more independent and the ramp has given her confidence to exit her house unaided. 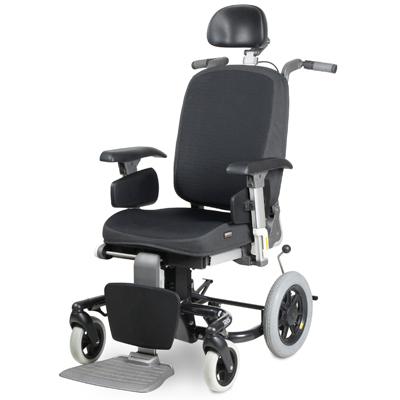 A modular design, the Ibis comfort wheelchair offers the flexibility that enables a perfect fit for every client with changing needs or different users. Quick and easy to adjust and easy to clean, the Ibis has new waterproof, breathable, washable, zipped cushion covers. A cost-effective choice, providing ergonomic comfort for home and hospital use. Easy to operate by the user or carer, Ibis includes an award-winning comfort seating system. 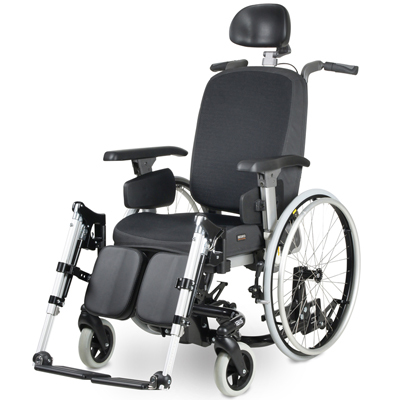 It combines the adjustable seat frame with a choice of interchangeable support and positioning options, including 30 degree tilt adjustment. 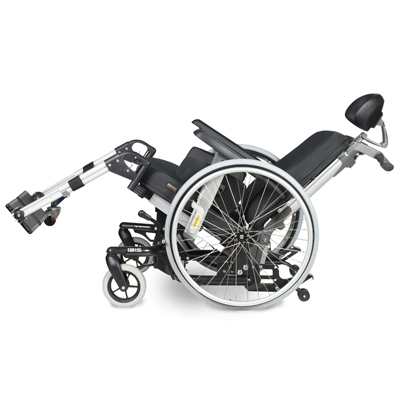 It is also available with manually elevating central leg-rest. 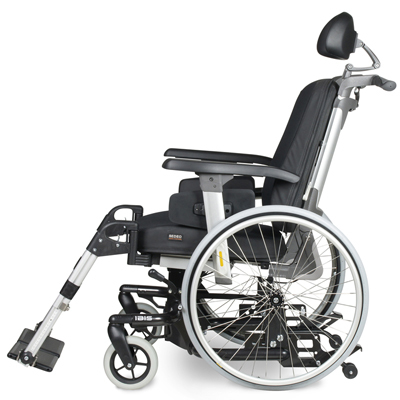 The adjustable wheel position and versatile seat width adjustment ensures a comfortable ride and optimum manoeuvrability. The low seat height and ample leg space allows for easy foot-propelling. Arm and leg rests are easily removed for patient transfers. This Ibis is also available with PowerSupport attendant control. Further details of the Ibis are available on request, including weight and dimensions. Priced from just over £1,900 ex.vat. 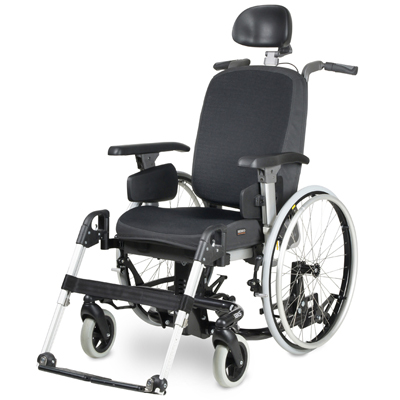 This highly adjustable Ibis Comfort Wheelchair is manufactured by Handicare, has a maximum weight limit of 160kg (25 stone) and maximum seat width is 54cm/21in. Call for a fact sheet, to book a demonstration or for further information, on 01438 861732. 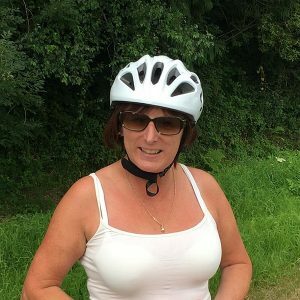 Our Office Manager, Carol, has set herself a 1000-mile cycle challenge for 2018, with a target of £1 per mile so that her chosen charity for Breast Cancer research can receive £1,000 towards their excellent work. In 2015, Carol had to have a mastectomy. The support she received during the months of treatment and rehabilitation that followed made her determined to enjoy life and inspired her to raise money in aid of Cancer Research UK (youcanbeatbreastcancer.org). This is a way of 'giving something back' to help future generations beat cancer. Please visit Carol's 'Just Giving' page which tells her story in her own words. If you would like to donate and supporty Carol's challenge, that would be lovely. Classic Mobility, Hertfordshire, is a member of the British Healthcare Trades Association. We have an established reputation within the care community for reliability, quality and value, as well as amongst our many home-based customers who rely on us for their independence. Classic Mobility, 1 Bury Grange Farm, Ardeley, Stevenage, Hertfordshire, SG2 7AE is an appointed representative of Mark Bates Ltd t/a Premier Care, Premier House, Londonthorpe Road, Grantham, Lincs, NG31 9SN who are authorised and regulated by the Financial Conduct Authority. Number: 308390. You can check this on the FCA’s Register by visiting the FCA’s website www.fca.org.uk/register or by contacting the FCA on 0800 111 6768. © Classic Mobility 2019 - Website by TheBPC.